My son, Norrin, was diagnosed with autism on May 19, 2008. Tomorrow will mark our 7-year autism anniversary. It seems like a strange thing to celebrate. And I say celebrate because when I think of Norrin then and I look at him now – I see a completely different kid. I have a lot to be grateful for. I have so much to hope for. But on the day Norrin was diagnosed with autism I couldn’t see any hope. Any parent who has heard the words, “your child has autism” remembers everything they felt the day their child was diagnosed. I’ve been asked how I came to be “okay” with autism. I wasn’t always okay with it. Acceptance has been and continues to be a process. On the day Norrin was diagnosed with Autistic Disorder and Global Development Developmental Delay, I felt my heart break. 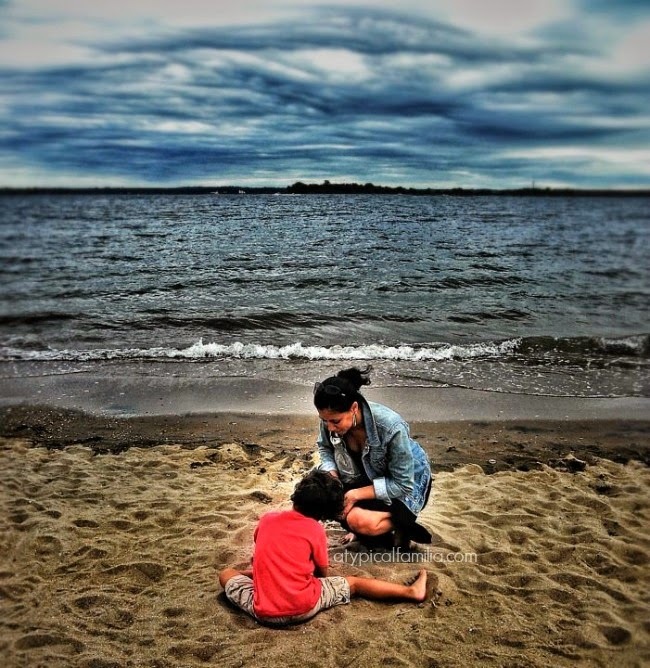 My husband, Joseph, had been so optimistic, so certain that it could not be autism. And I knew by the way Joseph squeezed my hand that his heart was breaking too. Joseph had all the dreams that a father has for a son and within seconds I could feel Joseph’s dreams crumbling. I could feel his leg shaking next to mine. Even though I tried to prepare myself, there was that small big part of me that wanted to hear that Norrin was “typical” and that there was no need to worry. On the day Norrin was diagnosed, I put my arm around Joseph in an attempt to comfort him and I thought of our wedding day. Everyone told us that we were perfect together. I recalled the moments after Norrin was first born: looking his wrinkled little body over, counting his fingers and toes, thinking that he was absolutely perfect. And there we were, this seemingly perfect couple being told that our child was not. We were handed a twenty-page evaluation, detailing all the things Norrin couldn’t do and all the milestones he had yet to reach. 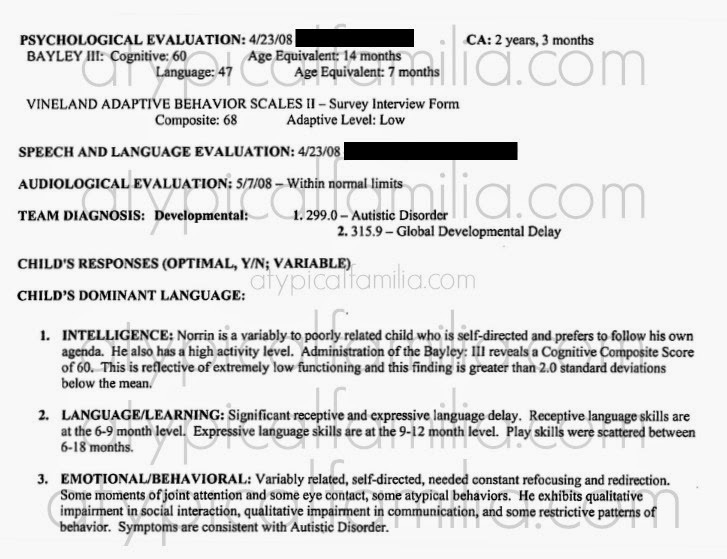 At two years and three months old, Norrin had the cognitive level of a fourteen-month-old and the language level of a seven-month-old. I hated reading the evaluation; on paper Norrin sounded horrible. Nowhere in the evaluation did it talk about his dimpled smile or the sound of his laugh. Nowhere did it describe how his big brown eyes sparkled when he was happy. Or that he loved to read and was fascinated by letters and numbers. Joseph and I cried in the car, neither one of us really able to comfort the other. Both of us thinking of all the things we could’ve done to prevent autism. When we picked Norrin up from the babysitter, it was then that autism became painfully real. Norrin was sitting in a playpen spinning the wheels of a car while the other children were playing. It was too easy to imagine how isolating and sad his life – our life – would be. This was not the life we were supposed to have, I thought. Nothing I read prepared me for the pain, anger and sadness that I felt. On the day Norrin was diagnosed, I went into our bedroom, closed the door and buried my face in my pillow screaming as loud as could. Punching and kicking like a three-year-old having a tantrum. Why Norrin? Why Me? I called up my best friend to tell her the news. After a few minutes, I asked how she was doing. She was seven months pregnant and excited about her baby shower. While I was happy for her, I couldn’t feel happy with her. Her pregnancy, her happiness and hope only reminded me of my loss. Whatever doesn’t kill you will make you stronger. Norrin just needs time to catch up. That night I cried myself to sleep. And I cried for many nights after that. God had overestimated me.Do you remember how you felt the day your child was diagnosed with autism? This article was originally published on May 15, 2013 on Parents.com. It has been slightly revised for Atypical Familia.